In between his gig with long serving metal act Sonata Arctica, founding member and guitarist Jani Liimatainen finds time to pursue other interests. 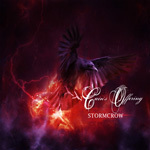 One is Cain's Offering, another melodic metal act, returning with their second album, Stormcrow. If your memory is healthy, you'll recall the band also includes Stratovarius members vocalist Timo Kotipelto and keyboard player Jens Johansson. Yeah, I know what you're thinking. Sonata Arctica and Stratovarius equals more Scandi symphonic and bombastic power metal. Well, you're mostly right. Yet, it's undeniable: I Will Build You A Rome, Constellation of Tears, The Best of Times, or I Am Legion are galloping power metal horses full of that epic and bombastic glory. Actually, that last number is the strongest of the songs for orchestration. Alternatively, Liimatainen likes to draw from melodic hard rock as well. With A Night to Forget and On The Shore, both songs move more with a rock groove, turning on a catchy melody and lyric, rather than speed and intensity. Additionally, there's anthemic ballad with Too Tired Too Run which builds at steady pace with a lighter beginning, only to rise into a large symphonic crescendo. Ultimately, the weight of the album leans towards melodic power metal, but considering the authors, you know it will be quality stuff. Recommended. 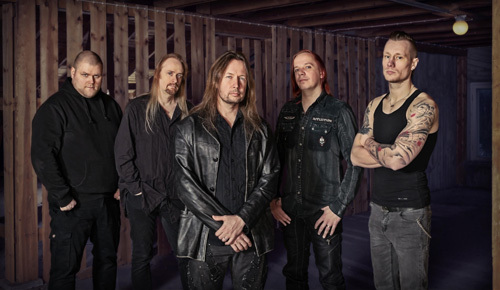 Featuring artists from both Sonata Arctica and Stratovarius, Cain's Offering's music doesn't swerve far from their respective genre, delivering impressive and entertaining melodic heavy power metal.